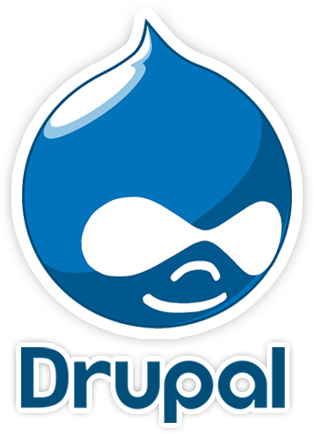 Drupal is an free open source content management system that offers top notch security and scale. It’s used, built and supported by an active and diverse community of people around the world. As written in PHP, It’s an excellent platform to build and publish complex dynamic websites, online communities and publishing portals. As a Drupal Development company in india, Netgains specialized in developing secure, User oriented, robust and scalable website. Netgains team is truly one of the untouchables in their field globally, they have successfully provided us with sophisticated software and web solutions to reach our targeted market world-wide. Provided Drupal E-Commerce and Web design Service to maxim, online version of leading men's lifestyle magazine. 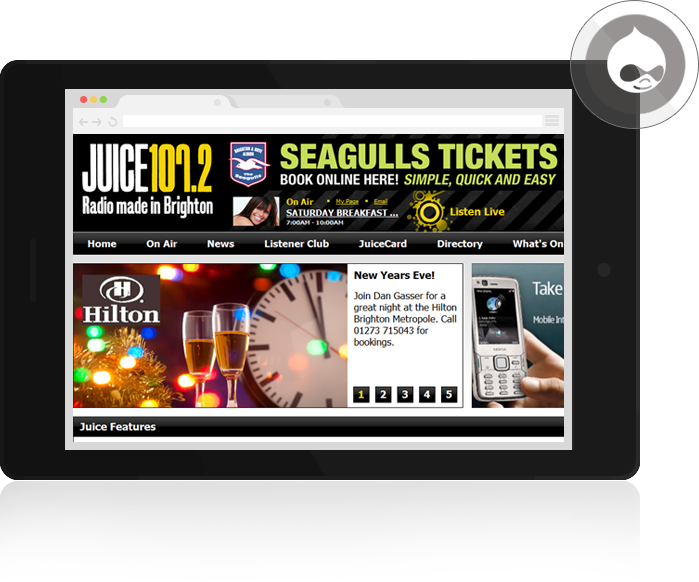 Provided Drupal E-Commerce and SEO Services to JUICE 107.2, dedicated to commercial radio station broadcasting 24 hours a day. The home of the Juice Breakfast Show with Dan Gasser & Hanna Neter. 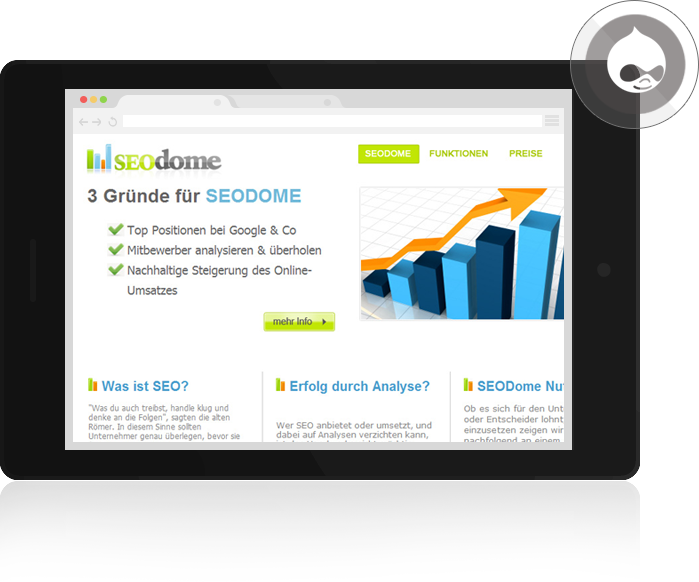 Provided Drupal CMS Solution and Customization with CMS Solution and Customization services to SEOdome, offers High quality Seo Services for Electricians . Provided Module and Extension Development and SEO Services to Yuglo, A world without limits. Discover the latest music, video, film, art, photography, events, contests and more.